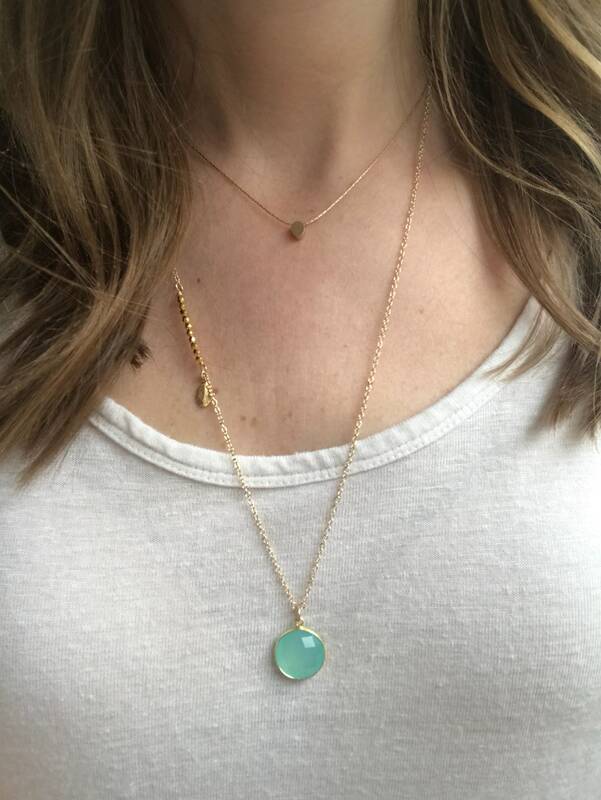 The Eleanor Necklace- Many gemstones available! 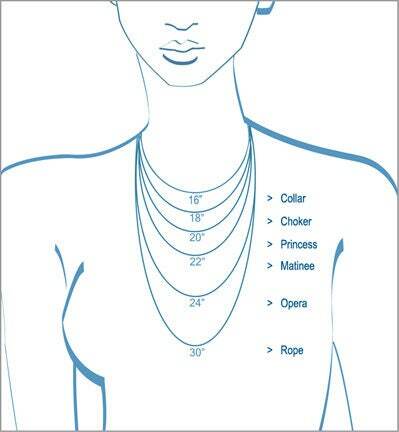 Choose from many gemstones to personalize this necklace! 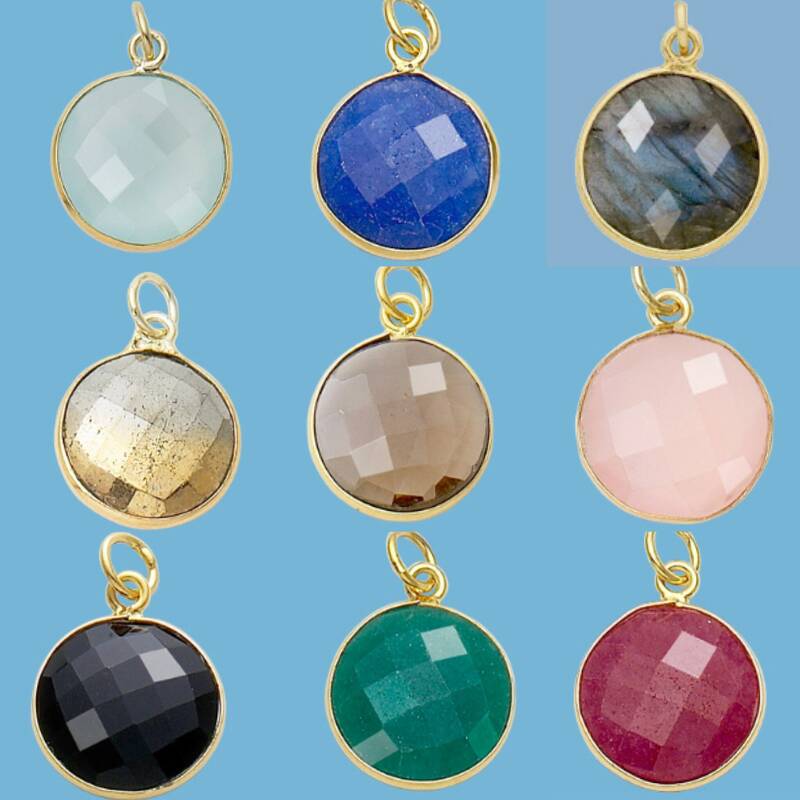 A gemstone of your choice is accented with a simple gold faceted bead bar with a dainty leaf detail. 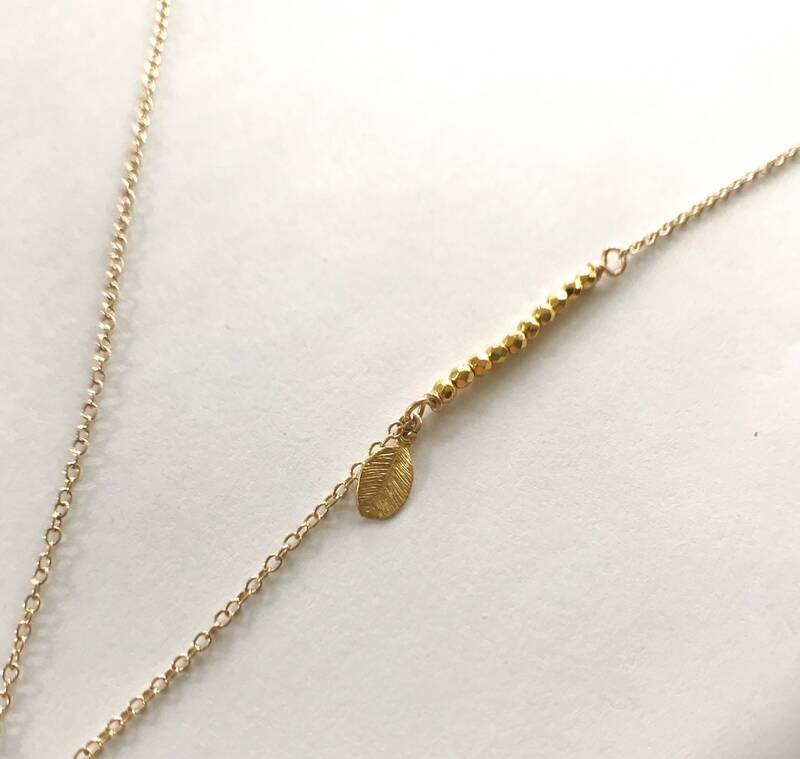 A simple and everyday necklace! 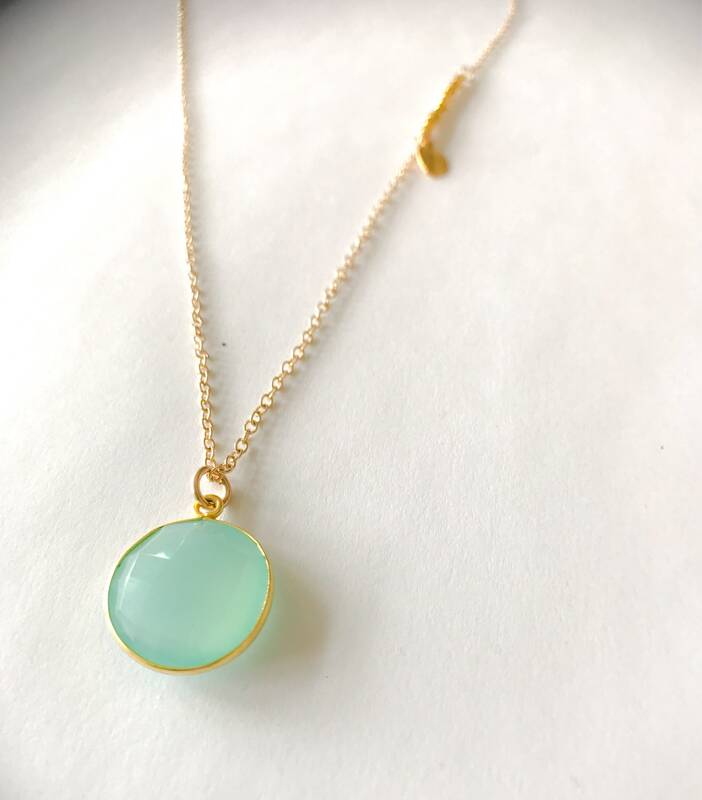 ►Gold filled faceted nugget bar- approximately 1"
*Featured gemstone is the Sea Green Chalcedony Quartz.